One of the hottest new bands out on the scene right now are guys that I really like to call friends of mine. I guess friends could be a relative term, in that they were really gracious on a previous tour stop and allowed very candid backstage discussion and photos of their show from all over the stage. It’s really nice to be given that kind of access to a show and stage. When I heard the Black Veil Brides were coming through Detroit again as part of the AP Tour, I had to see them again. They never cease to amaze with their energy and dedication to what they do. I was lucky enough this time around to grab some time from guitarist Jinxx. Toddstar: First of all thank you for taking the time out for the Rockpit. Toddstar: So, again thank you for you guys taking care of me. I was at the Harpo’s show; you guys were really cool to me. Jinxx: Yep, we appreciate the fans. Toddstar: Let’s start off with this tour, the AP tour, a lot of exposure for you guys. How’s the tour going so far? Jinxx: It’s going fantastic. It’s been great, you know. Of course all of our fans have been coming out and a lot of new people as well. Every band on this tour is great and they bring out their own crowd and everything, so it’s kinda great for us getting new exposure in front of new fans that we haven’t played in front of before. Yeah, it’s been fantastic; all the bands get along and bring a lot to the table – a lot of variety. Every band is different and we're having a great time. Toddstar: Cool. Well let’s jump to the obvious. Revolver Golden Gods. Jinxx: We’re super stoked about it. Even just the nomination is in itself great. Even if we don’t get it, its whatever - we’ve been nominated. You know, I think last year we had some friends who were nominated and it was a case of “Ah man, that would be so cool,” so, to be nominated for that is huge for us. Toddstar: Cool. Well looking back at the last album and I know you guys, based on other stuff I’ve read, are already working on the next album. It’s about in the can, isn’t it? Is it getting close to being ready? Jinxx: Oh no - we’ve already finished it. Toddstar: Ok, what can the fans expect? Jinxx: It is just gonna blow their minds. For our fans, at least, and for people that have never heard of us before, um, were super stoked on it. Our last album, of course we were very happy with it, but this one, it is ten times better. It’s just gonna blow their minds. Toddstar: Ok, what do you feel is better about it? The writing, the playing, the whole package? 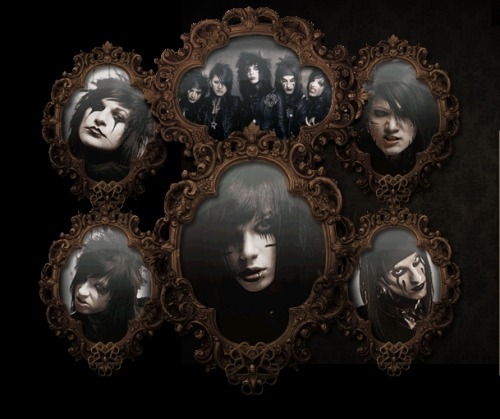 Jinxx: Yeah, the whole package, all together. We pulled out some stuff that this has actually been in the works for, you know, a long time. Just over all, I think the writing, just everything all together, the lyrics, everything. What it means to our fans, it just definitely brings something new, you know, that they haven’t expected, weren’t going to be expecting. Toddstar: Can’t wait to hear it. Ok, where do you guys draw your influence from? A lot of people make obvious points to Motley Crue, things like that, but where do you guys feel you draw your influence from? What or who made you put a guitar on? Jinxx: Me personally, I would say old school Metallica and Ozzy. I was a big Randy Rhoads fan growing up; guitar wise and that also got me into classical music. I am also hugely influenced by Bach and Beethoven. Toddstar: So that’s something your fans probably wouldn’t expect. 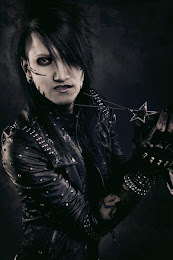 Jinxx: Right, right. Yeah, I think the metal, especially old school metal, was largely influenced by that and a lot of people don’t realize that anymore, but that’s where I come from. Me & Jake (Pitts) - especially old metal. He’s influenced by Paul Gilbert (of Mr. Big fame) and a lot of similar artists and stuff so musically; I think a lot of older metal like Metallica. Toddstar: Very cool. Well you have a big gig coming up. You guys play a lot of big gigs, but you have Rock on the Range coming up which is a huge venue. A huge event to play, I mean, how did you guys come across that, was that something that was brought to you guys or was it something you guys said let’s do it? 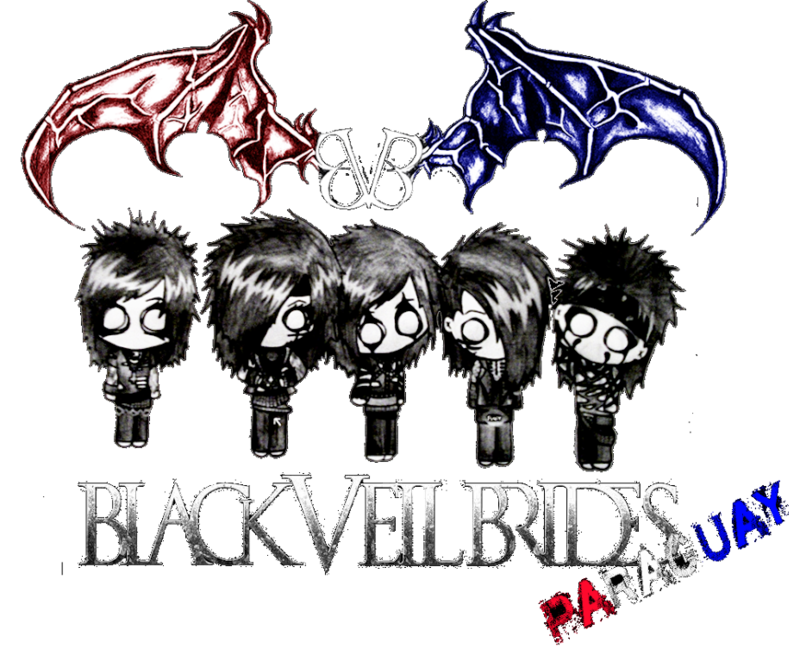 Jinxx: Yeah, it was brought to us, lined up by our booking agent. With everything being a part of the AP tour were all getting going to be playing it. Toddstar: I was gonna say, I didn’t think it was everybody. 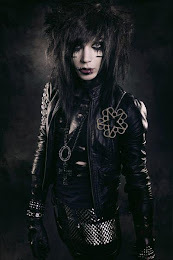 Jinxx: Yeah, no, it’s just Black Veil Brides and it’s something I’ve always wanted to play so I’m pretty stoked for it. Toddstar: It’s huge this year - especially the 5th year anniversary as well, so great line up to be on. Toddstar: Lets go back into some more of your influence, cuz I’d like to know if there is one piece of music that you could say you had a hand in writing or maybe that you had played on through the history of time. It doesn’t have to be one song, it could be an album. What would be something you could say you wish you had a hand in it? Jinxx: Ok, not something that I’ve done, just something? Toddstar: Right, something someone else did, that you just wish was yours? Jinxx: Mozart’s ‘Requiem’ I guess. Jinxx: He died half way thru finishing it and he had a hand full of his students that came along that his wife hired to try to finish it after he died. I just thought, you know, it would have been really cool to have studied with him and then have a hand in finishing it. It’s such a dark and spooky piece to begin with. He was out of his mind when he starting writing it and continued to work on it on his death bed. Toddstar: Ok, I want to shift gears to you again. 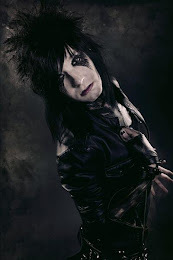 Jinxx – what is the meaning behind the name? I know some of these guys have nicknames, but we want to know where yours came from. Jinxx: You know I’ve been going by it for 10 years now, but it started actually living on tour. I was on tour with a previous band and just seemed like I was always getting myself into these silly, silly situations and the guys were just like “your jinxed, you always have bad luck, you know, on the road, so your jinxed” so I just started going by it and it just stuck I guess. Toddstar: Cool. Also, I noticed reading liner notes of another band I know that I’m a huge fan of, has the name Jinxx in it, and I didn’t know if it’s you. The CD is from Team Cybergeist. Is that you? Toddstar: Did you play on those tunes? 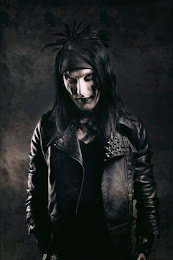 Jinxx: Yes, I did a couple solos, a couple songs. Toddstar: How was that for you? I know I talked to Morgan from Kitty. She did hers and sent it via internet. Toddstar: She never even sat down with them. Jinxx: We all did it via internet. Actually when I did that, I was working with a guy named, Diggs Dynamite and he was a really good friend of mine. We both basically lived out of our rehearsal studios where our bands rehearsed. We were just kinda homeless at the time and just trying to make ends meet playing music. We just got our heads together and my friend Angel (Bartolotta), who you know is the spear head of it, got in touch with me and said, “Hey, can you do some solos for this” and I was onboard with it. So Diggs and I, you know, got on ProTools and Angel sent us stuff thru the internet and we sent them back. I thought it was a really cool idea actually. Nobody’s every really done that, like a mass, like getting all these bands together so a really cool idea. I’d like to see more of that, you know. Toddstar: Oh yeah. It was a great package that Angel put together. Toddstar: I know you’ve got stuff to do (at this point Jinxx is in street clothes and still needs to attend the daily pre-show “Face Party”) so I’m gonna let you get back to your day after one more question. Toddstar: According to Jinxx, what’s the meaning of life? 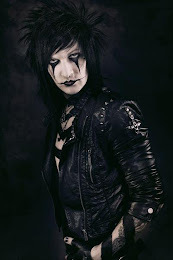 Jinxx: Meaning of life? To live it to the fullest cuz you don’t know what’s next, you know. I don’t necessarily believe in an afterlife or anything. I don’t, you know, not believe it that there’s nothing, it’s just that there’s the fact that I don’t have proof of an afterlife or existence beyond this life, so I think what we have in front of us, you gotta live every day. You gotta live today for now cuz you don’t know what is gonna be here tomorrow. I mean you never know what’s gonna happen, so you need to get out there and do whatever it is you’ve ever dreamed of doing. You know, dream it, be it, do it. Toddstar: Awesome answer! Well, that is a perfect way to wrap up the interview and say thanks, because that was a perfect answer. So again, the Rockpit thanks you and we wish you the best of luck on the rest of this tour. We will definitely see you out on the next tour (Warped) and I can’t wait for the new album. Adelanto de Fallen Angels !!! portada de Set The World on Fire ! Draw by: http://ninjalizi.deviantart.com. Tema Fantástico, S.A.. Con la tecnología de Blogger.